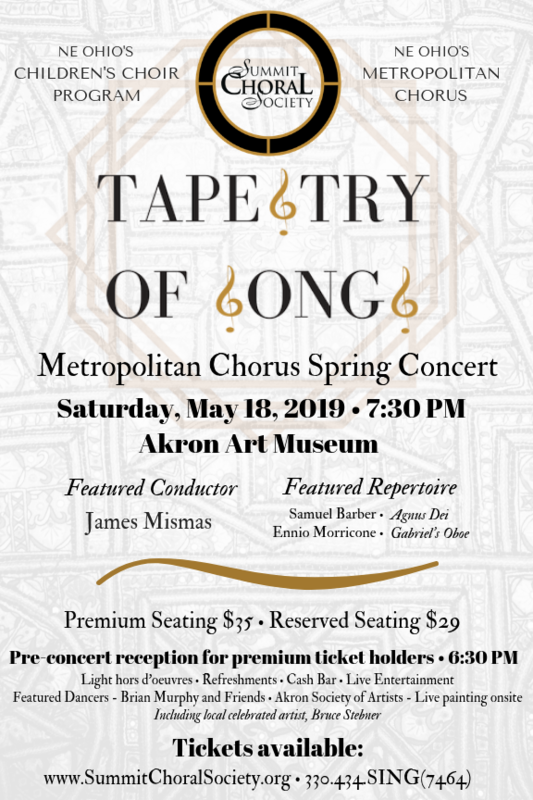 Join the Metropolitan Chorus, under the direction of James Mismas, as they present their Spring Concert, Tapestry of Songs. ​James is an energetic, multi-talented musician who is a staple in choral conducting, opera and organ works in the NE Ohio community. Praised for his “polished, passionate singing”, he is a versatile and accomplished vocalist having sung with Cleveland Opera, Ohio Light Opera, Akron Lyric Opera Theatre, the Akron Symphony, the Canton Symphony, the Ohio Chamber Orchestra as well as abroad, performing concerts in Germany and Greece. 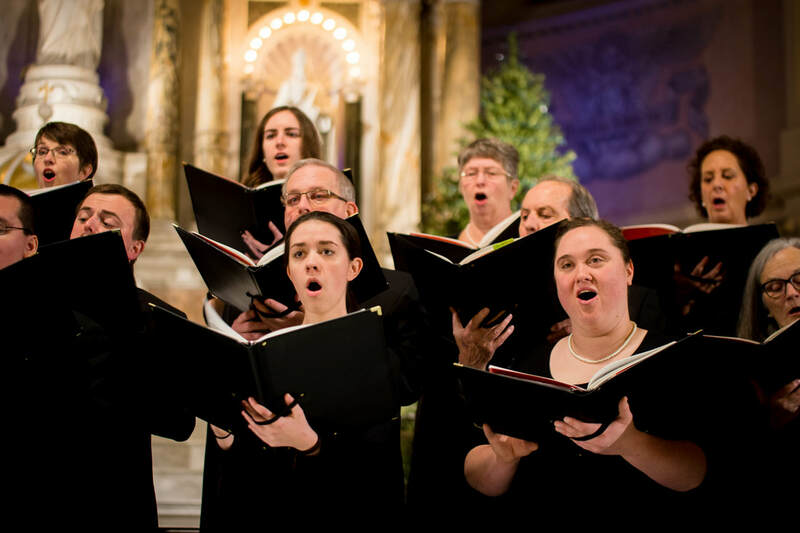 preserving choral repertoire ​from all over the world.